There are quite of bit of figures taking up room on my shelf. Before I put them away, I’ll give them their 15 minutes of fame and feature them in a post. Can you tell who it is the oldest figure on here? That’s right, it is Blurr. I believe he was released 2010. I dug him out recently for display because he’s such an awesome fig! 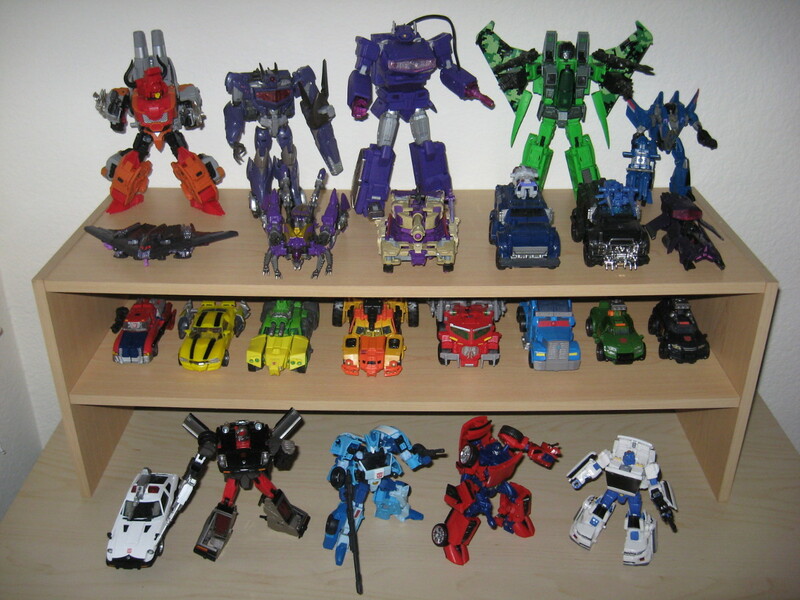 With the exception of Blurr, Breakdown, and FOC Shockwave, all figures on here were acquired in 2013. 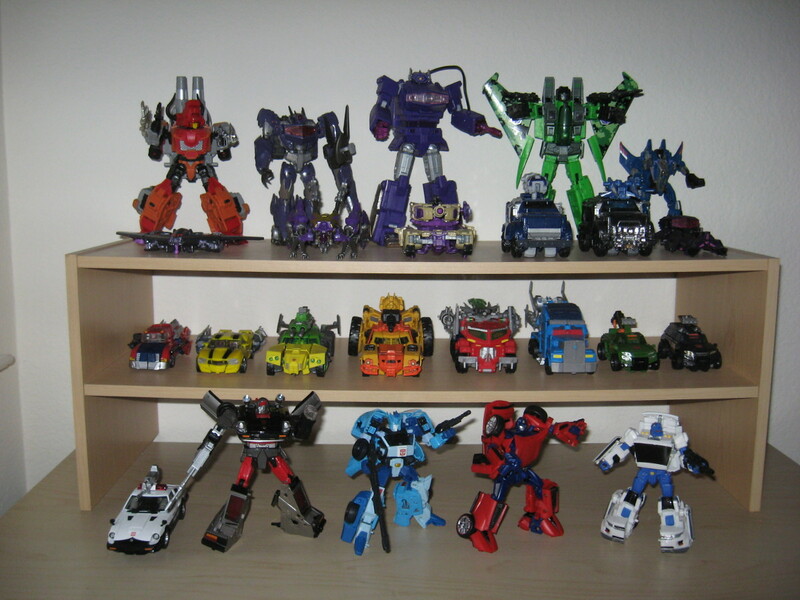 4 figures are from third parties: MMC Bovis, Fans Toys Quakewave, ToyWorld Trace, and ToyWorld Aurora. There are 3 Masterpiece figures: Acid Storm, Prowl, and Streak. Though one could certainly make a case for Quakewave. He’s a third party fig, but he fits into the MP toys just fine. OK, time to make more room for the figs of 2014. Into the closets these will go. Transform and Roll Out. I got done setting up my Christmas Tree sometime this week. It’s a small manufactured tree, just to make my place look a little more festive. The GF bought me some ornaments to put up. I thought I give this tree a little more Cybertron flair, so some of my legends class Transformers are going up as ornaments! Can you identify how many TFs are on here? Happy Cybertronian Christmas! Transform and Roll Out.